Brushing your teeth is essential to the overall health of your mouth. You need to keep your teeth clean and avoid issues like cavities, plaque, and gum disease, and brushing your teeth is the solution. That being said, many people don’t fully understand the proper techniques for brushing their teeth. Learning the right techniques can save you lots of money in dental expenses and help you avoid serious dental health issues. Brushing your teeth might seem like a simple task, but if you aren’t using the proper techniques, you are doing yourself a disservice. This article will provide a few important tips for properly brushing your teeth. If you are looking for the best periodontist in Fairfield County, CT, contact Periodontics & Implant Dentistry Center LLC. You might be wondering what the proper amount of time you should spend brushing your teeth on a daily basis is. 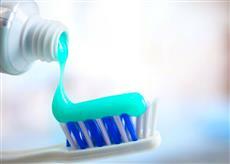 The American Dental Association suggests that you should brush your teeth twice daily for 2 minutes each time. That way, you can be sure that you are removing plaque and preventing cavities with your tooth brushing efforts. Many people think that using a medium bristled or hard bristled brush will work better since it has stronger and firmer bristles. A medium bristled or hard bristled brush can actually cause damage to your root surface, tooth enamel, and gums if you brush too hard. A soft-bristled toothbrush will be the safest and most comfortable toothbrush. If you think you might be dealing with gum issues, the gum disease dentist in Stamford, CT, can help with your issues and provide the care you need. There are a few things you need to do when brushing your teeth to ensure you are using the right techniques. It’s important to place your toothbrush at a 45-degree angle to your gums. You want to gently move the brush back and forth to avoid any damage to your gums or tooth enamel. Brush everything! That means brushing the outer surfaces, inner surfaces, and any chewing surfaces of your teeth. If you are seeking laser dentistry in Stamford, CT, or would like to go to the best periodontist in Fairfield County, CT, schedule an appointment with Periodontics & Implant Dentistry Center LLC today.